Last year I read and reviewed ‘The Autobiography of James T. Kirk’ and greatly enjoyed it. 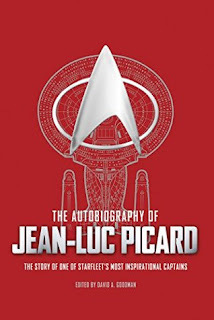 So when I found out that a new volume on Picard had come out it was a must read. Now I must admit, growing up I was a huge Kirk fan, I remember watching the animated series and the original series in syndication. By the time The Next Generation came out was late high school and early university. So my watching was not as consistent. And to be honest I felt a greater pull to Riker or Worf. And yet that being said going back and reading this book was like stepping back in time, and reminded me of a younger me, and a different time and place in my life. I could picture myself at Skydome in Toronto watching the series finale on the Jumbotron. So in part this book was like a trip down my own memory lane, let alone the journey through Picard’s past. I would say that in many ways this book was even more of a surprise then the one written about Kirk. There are some stories in this book that were alluded to in the series, and some that are new material. Overall it presents a very different man then I remember. 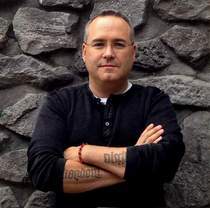 Some of the stories regarding his relationships with his father and his brother we as startling as they were revealing. His initial failure on his entrance exams to Star Fleet Academy was a big surprise. 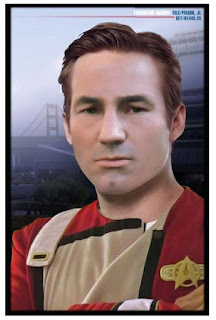 It is interesting to watch the growth and progress as he moves up the command chain, and his years of service before commanding the Enterprise. Seeing some of his relationships that were successes and those that came back to haunt him. The writing is done very well. It has that dry wit that we would expect from Picard. And yet it is open and vulnerable in places revealing the man within the captain’s uniform. You can easily hear Picard’s voice through the text of this book. And as such it is very enjoyable read. But as much as I enjoyed this I can only home it is the beginning of a long series, I would eagerly read volumes on Sisko, Archer, Janeway, even Work, Riker or Data who all became captains in their own right. Or even going back and doing one on Pike would be of great interest. 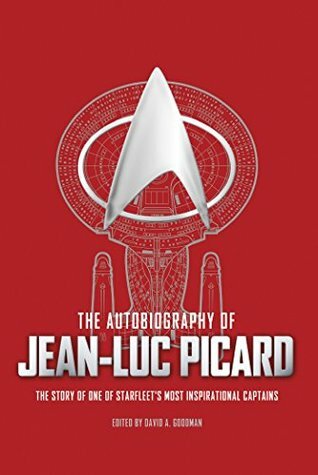 A great read for any fan of Star Trek The Next Generation, or really any Trek fan who just wants a peak inside the mind and heart of Captain Jean-Luc Picard!